Amazing tapas joint. A great spot to bring a date to snag a quick bite, a drink or two to get your night going. It's a tight squeeze in here though, so the tables tend to turn quickly. We had Meatballs, shrimp in garlic, mushrooms in sherry and a special octopus with potato garlic and white wine that was not on the menu and it was amazing. Red pear sangria was nice. Staff was super! We had the Chicken Empanadas, Calamari, Serrano Shrimp, chorizo, Patata Bravas, Rice Pudding, Cream Hot Chocolate Strawberry's and Creme' Brûlée were great! Morcillo was the only one that was okk.. The chef is from Pamplona, and serves some harder-to-find dishes. Also a special San Fermines menu around Running of the Bulls. Try escalivada, calamares (great piperrada sauce), setas con almendras. This place feels like a trip to Spain . The food was delicious. The octopus was the best I've ever had and their wine... .Mmmm! Perfection. Tip: It gets super crowded/loud past 8pm. Traditional tapas options done to a deliciously high standard. 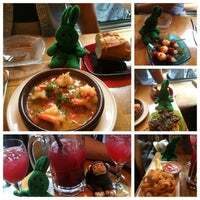 A cute little place, informal looking with kind and attentive staff. 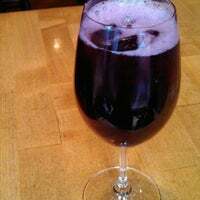 Red wine and pear sangria was delicious! Good place to relax when the weather is good. 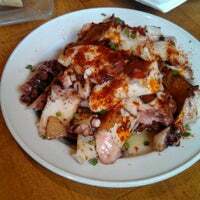 The octopus with potatoes and Spanish omelette were great. I didn't think the sangria was anything special. Everything on the menu is amazing! The only problem is, if you come by yourself, you might have problem to choose! A cozy little place with the most friendly and accommodating staff ever. The food is full of flavor and authenticity. Really loved it. The patatas bravas were cooked and seasoned to a crispy perfection. Food was reasonably priced and the staff was very attentive. The space, however, was small and tables were tiny. 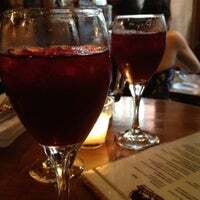 Cozy atmosphere, red pearl sangria is a must try loved it. staff is friendly and attentive. Definitely going back!! Great food, excellent service! Quaint little spot, I got there early and got a seat right away, I can see it getting really crowded though..
Wine, food, atmosphere - all great. I appreciate they played Spanish holiday music to keep in the December spirit. 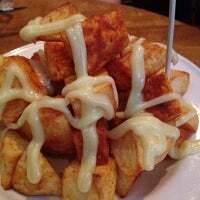 On our must-order list at Las Ramblas - Patatas Bravas, Banderillas con Chorizo de Pato, and of course their sangria. The octopus salad is delicious! Roasted peppers give it great flavor, along with red onions, olives, celery, tomatoes! My favorite! Amazing patatas bravas y gambas San Martin! 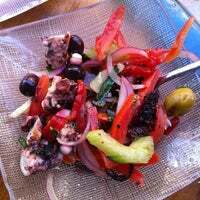 And a must have is the grilled octopus salad! Pulpos classic and scallop are out of this world! Everything is great! Must try pulpo classic and sea scallop. I had a foodgasm here! Sangria, just the classic red! And the host is supper friendly and make me home every time even I always just came alone. Pulpo classic. My must-ordered every time I am here. Zagat and Michelin Rated Place. Expensive Tapas but worth it. The terrasse is great during summer. Awesome date spot! 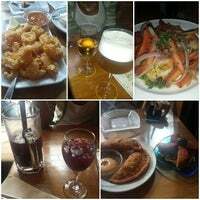 Sangria and tapas are delish! If you think you like tapas...then you don't know Las Ramblas!! This place is 'autentico'!!! 5 stars and three thumbs WAAAYYY up!! Everything is delicious and the service is good. The cheese plate is great. 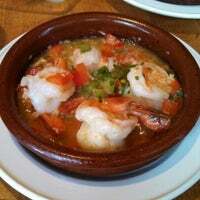 Try the shrimp in white wine, garlic and lemon sauce! This place is family owned and operated (by the daughter of the owner of Tio Pepe right next door). And it's AMAZING. One of my favorite spots in NY. Get the gambas and lamb chops (chops are on special most nights). Duck chorizo & quails were DElish! Come early! Place is small and fills up fast! The bathroom is so nice. Sangria is awesome. Cozy. Delicious. Repeat for sure. 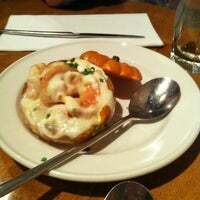 They have mini pumpkins with béchamel and shrimp every fall. They're to die for. The Langonstinos cooked in a cava vinegar sauce. Epic. Great after work spot for sangria and tapas. 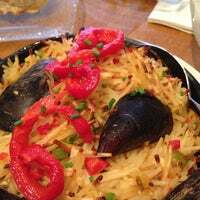 The Spanish rice peppers tondie for! 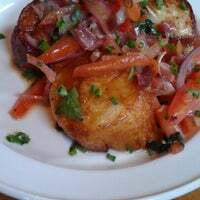 Potatas bravas are to die for! Crunchy little potato cubes perfectly fried! 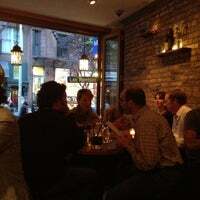 An amazing place for tapas in the West Village! Very small! Cozy with some dang fine tapas. Have some sangria. Try the grilled Octopus with and roasted ... outstanding . Charming atmosphere but not the best tapas I've had. Do get the duck sausage with quail egg dish though! 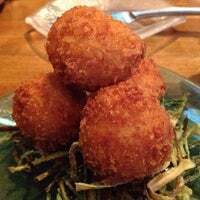 Try the croquettes and the eggs with chorizo. There guacamole is the richter! From scratch all fresh ingredients! 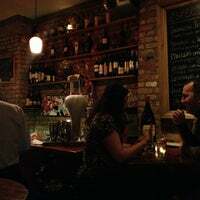 Greenwich Village's bustling West Fourth Street is home to our authentic spanish tapas bar, a heaven for tapas aficionados. "salinas é tudo de bom um paraiso natural!!!" "Um tesouro espanhol no meio do Soho! Ambiente incrível e comida deliciosa!" 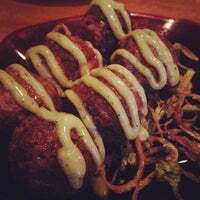 "Consistently delicious! Brussels w. fuet Catalan, oxtail stuffed piquillo peppers, skirt steak...all so so good." 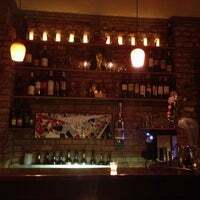 "nice little Irish pub, great bartender on Sunday night, Big Buck Hunter in the back with darts and foosball, dark and quiet, but west village crowd"
"This theater screens some of the best in independent cinema. It also screens great anime from time to time, both new and classic. It's a great place to catch great films." "Muita gente vai gostar do sorvetão"